Manage Your Customers Better with Service Level Agreements. 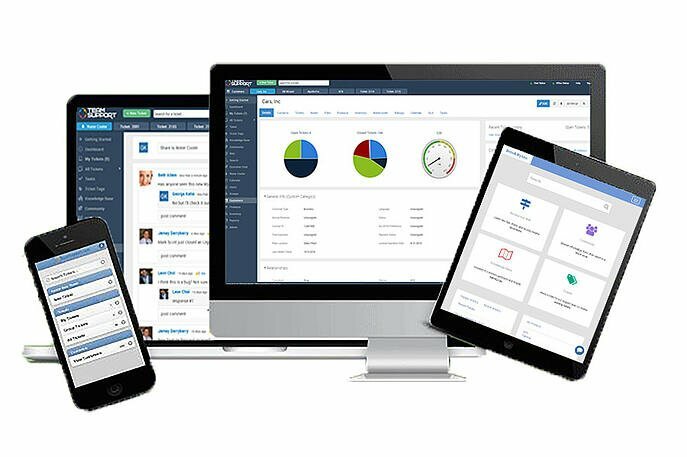 TeamSupport understands the importance of managing SLAs for your business customers. Our help desk software includes best-in-class Service Level Agreements management. TeamSupport is all about efficiency. When you manage multiple customers or products it's important to keep track of service level agreements. Our easy to use interface lets you quickly create, edit, delete, and even clone SLAs. In-app color codes and email notifications mean you never miss an important issue, or lose track of customer service agreements again. Every business is different, and at times you may need to have your Service Level Agreements adjust around specific dates like company holidays, or international holidays. We make it easy for you to "pause" your SLAs based on dates that you determine. You can also pause SLAs based on Ticket Status so when a ticket is in a certain status it doesn't count against your SLA rules. You can also pause Service Level Agreement triggers based on your company business hours, or by setting custom business hours based on your customers' needs. This is helpful when your customers are in a different time zone, or keep different hours than you. TeamSupport allows you to define service agreements and track support hours by individual customer. This helps you maintain different service levels and track support hours for different clients. You can also set different criteria based on the specific products each customer uses, so your support is completely customized. SLAs in TeamSupport can be associated to specific Products. 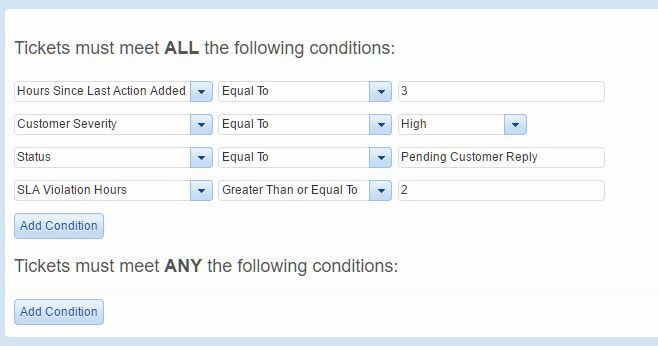 This means if specific products have different support needs you can create Service Level Agreements that match those. You can also use Product level SLAs to block portal access if a service is expired, or limit customer downloads on the portal to only products with current service agreements. You can use SLA status as a condition in Ticket Automation. This can be helpful as an extension of the standard notifications that are part of Service Level Agreements. Help Desk Service Level Agreements are available in our Reporting section as "secondary tables" so you can create custom help desk reports that include data from your unique SLAs.